You can save money by using one of the latest Natural Stacks coupon codes when buying your online health supplements, food and equipment through the Natural Stacks online store. These can be limited time and flash sale like Black Friday and Cyber Monday Deals, Stacks Day discounts and promo codes that the guys over at Natural Stacks release from time to time when doing promotions to help reward buyers like us. Time to get ready to fill the Christmas stockings. Get 10% Off Everything Site Wide! Save $4 Off the list price when you get Natural Stacks Vitamin D3 supplement. Save $3 Off the list price when you get Natural Stacks BioCreatine Optimal Creatine Complex. Save $2 Off the list price when you get Natural Stacks Smart Caffeine capsules. Save $5 Off the list price when you get Natural Stacks PreBiotic+™ Resistant Starch Complex powder. Save $2 Off the list price when you get Natural Stacks MagTech Magnesium Complex tablets. Save $3 Off the list price when you get Natural Stacks Dopamine Brain Food™ capsules. Save $5 Off the list price when you get Natural Stacks Natural Protein™ Whey + Collagen powder. 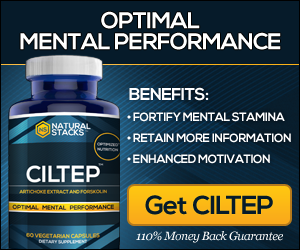 Save $2 Off the list price when you get Natural Stacks CILTEP capsules for Focus, Motivation and Memory. We are eagerly awaiting The Black Friday 2018 specials, which start on Friday 23 Nov 2018. Natural Stacks Black Friday 2017 deals can be seen in the sales ad below so you can still try jump in and save big. Black Friday is always one of the biggest and best days to shop online at Natural Stacks. Orders over $300 get 30% off, a free pair of the NEW Natural Stacks Blue Blocking Glasses & free shipping on all domestic orders or free shipping on international orders PLUS Free Choline Brain Food bottle. 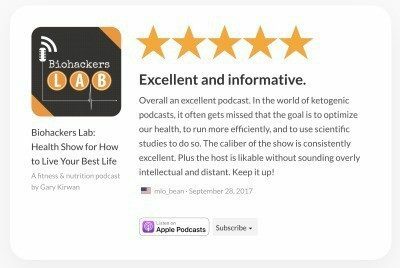 Orders over $500 get 30% off, a free pair of the NEW Natural Stacks Blue Blocking Glasses & free shipping on all domestic orders or free shipping on international orders, free Choline Brain Food bottle PLUS free access to the brand new Fat Loss course hosted by the wonderful Dr. Cate Shanahan. MycoIMMUNE contains – Medicinal mushroom Reishi, Chaga, and Turkey Tail. We are eagerly awaiting the Cyber Monday 2018 specials, which start on Monday 26 Nov 2018. If you missed out on the Black Friday specials then this was your last chance to pick up some of the massive savings shoppers get over the Cyber Weekend sale. We had these new one day only offers to try and grab before they ran out! Get 19% Off Everything Site Wide! This is the biggest CILTEP discount ever at 39% Off Until Stock Runs Out - *Hurry Very Limited Deal! This includes their range of supplemental ingredients that can be stacked and branded gear. Natural Stacks is the world’s first open source dietary supplement company. By providing an unheralded level of transparency involving our sourcing, ingredients, and formulation, we’ve been able to earn the trust and support from thousands of people around the world looking to optimize their physical and mental performance.